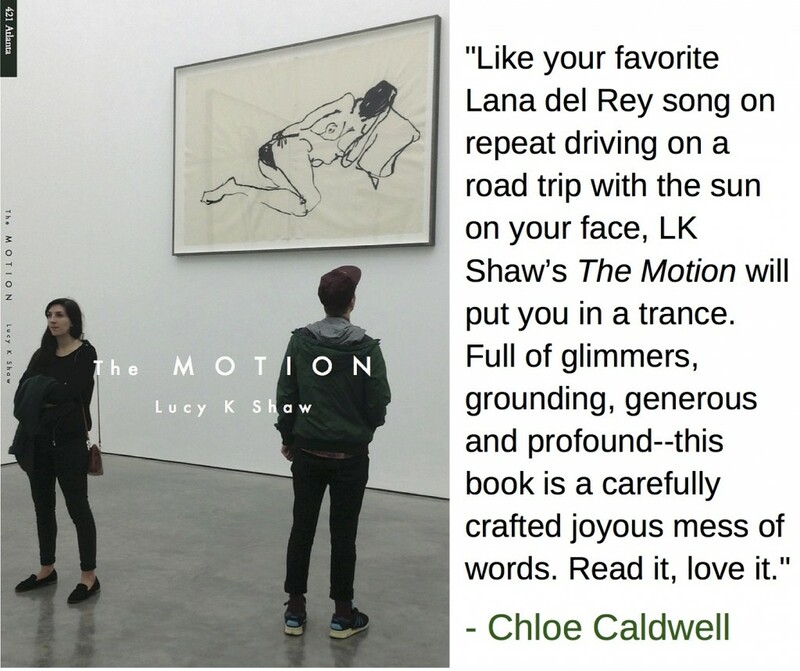 Lucy K Shaw’s debut collection of stories, THE MOTION, will ship on March 31. It’s available for pre-order now. Read the story about how THE MOTION became a book. Read about Lucy in Spanish! Read an excerpt from the book at Dazed Digital and read a feature on the Shabby Dollhouse Reader at Dazed Digital, too.